Congressional candidate Audrey Denney gives a talk on the need for new voices in Congress such as hers to represent all people. Her campaign takes in only money from individuals and none from PACs. “Put me in coach, I can do that,” said congressional candidate Audrey Denney as she spoke of the last few weeks in national politics and of the local people and organizations she’d visited and met with in the same time frame. Denney told a crowd of about 70 people in Greenville in the early evening of Sept. 29, that she’s ready to represent all of them — regardless of party. She said that District 1 needs to be represented by someone who would be held accountable to her constituents. Denney has campaigned extensively on the idea that corporate and lobby money needs to be out of politics. 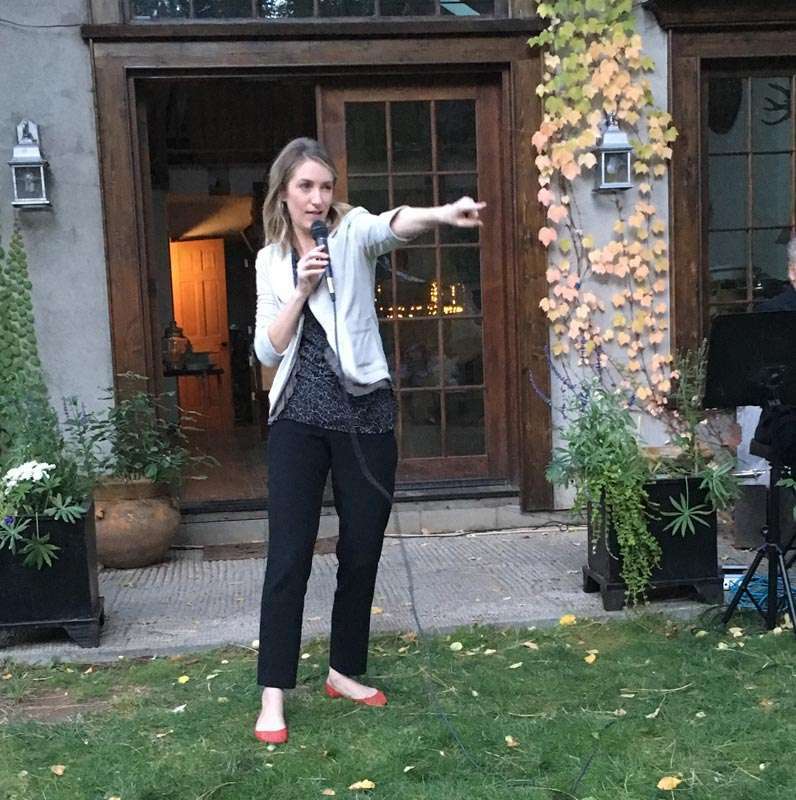 Her campaign only took in funds from individuals and to date had raised nearly $900,000. Denney made a final campaign appearance in Greenville on Sept. 29 to thank supporters, make a final push to get out the vote, and remind voters of the need to have voices that are more diverse in Congress. 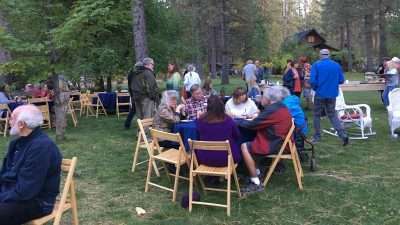 Residents from throughout Plumas County attended the event that saw Denney clear enough cash to completely close the books on her frugal campaign. As of this week the District 1 race cost over $800,000 with Denney clearing nearly $900,000. The campaign said it was right on target to get to the finish line in the black. 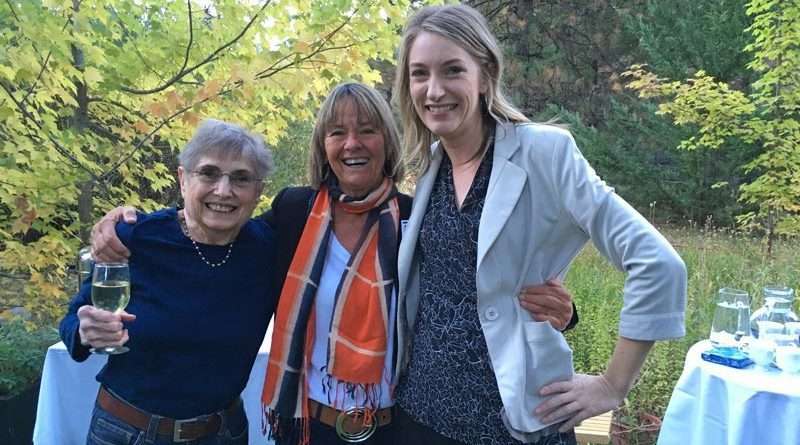 Once told she was “too nice” to run for office, Denney remarked that now that people have seen her debate her opponent Doug LaMalfa, they don’t say that anymore. Denney spoke extensively of finding common ground, common humanity. She spoke of years working both inside the U.S. and outside of the country — and finding commonality despite language or other barriers. She spoke of the last year of her campaign and spending time in every county in the vast District 1 area listening to peoples’ needs and challenges. “I plan to represent everyone in this district and their needs whether they voted for me or not,” said Denney, attempting to represent a different approach to winner-take-all politics. Residents gather to hear congressional candidate Audrey Denney give a talk in Greenville on Sept. 29. It’s not often candidates come to Greenville. She spoke of her core beliefs being essential values in her campaign. “ We each have inherent rights and dignity because we exist and we matter. We are all inherently equal. That’s my core belief,” Denney said. “That’s the lens by which I will govern,” she continued. Denney hit usual Democratic Party national issues of healthcare, education and protecting benefits for seniors and veterans. She also spoke of issues particular to mostly rural District 1 — water rights, mitigating climate change and supporting business in rural, economically depressed areas. 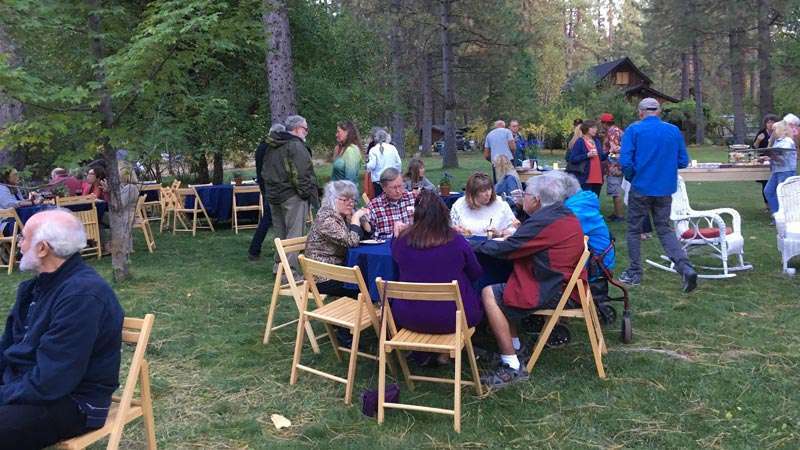 Before her speech, she shook hands with the people gathered — going from table to table — and asked what challenges they were facing up here in Plumas County.